Jenoptik develops optoelectronic systems and modules that you can integrate into your existing systems in line with the specific application, saving you both time and money. We manufacture optoelectronic systems that precisely meet your requirements. We develop integrated solutions for your market that intelligently combine optics, lighting, electronics, sensors and software. 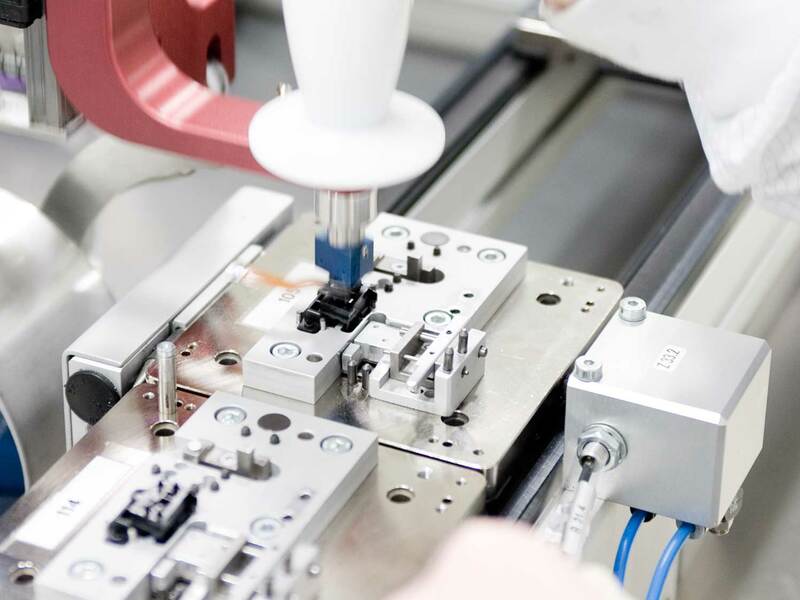 Jenoptik is your reliable partner along the entire value chain: We support you from the initial idea through to the design stage, development and series production, including supply chain management. You will benefit from our many years of experience and the broad expertise of our highly qualified employees. Outsource the development and production of your optoelectronic systems without any risk, while saving costs and avoiding the use of unnecessary resources. With high quality assurance standards, cleanroom conditions, and ISO certifications for medical technology and the automotive sector, we manufacture optoelectronic modules of the highest quality. We have a broad range of technical expertise and excellently equipped production facilities.